Do you ever wish there was material for baby wear that would keep baby dry, warm in cold weather, cool in hot weather, naturally breathable, without chemicals, and easy to care for? I'm here to tell you that merino wool is all of the above! 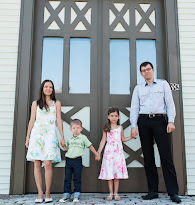 It's really a miracle material that's perfect year round for everyone, but especially for kids. We are big fans of wool at Eco-Babyz, my kids practically live in it - especially in the winter. Disclaimer: I was not compensated for this post. AnaB Social, Eco-Babyz, and participating event bloggers are not responsible for sponsor prize shipment. I'm entering from Eco-Babyz. I love the sleep sacks! They look so soft and comfortable. I am entering on the eco-babyz blog and I also Like the long sleeved body suit Onesie. I love the Woolino Long-sleeve Pajamas, 100% Superfine Merino Wool in Cream! 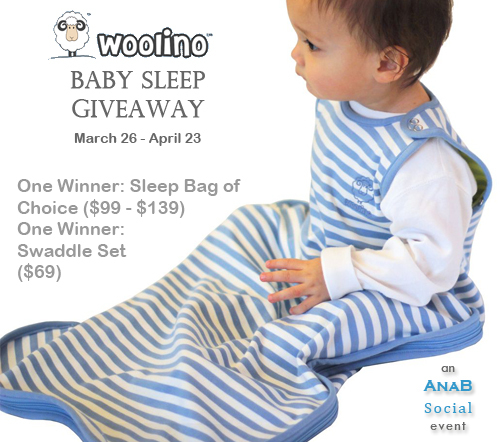 I entered from your email subscription link-I LOVE the Woolino 4 Season Baby Sleep Bag, 100% Natural Merino Wool Sleep Sack, One Size 3mo-2yrs in sage! I love me the merino pajamas! I learned that it is all natural and can be used all 4 seasons! I love the swaddle and the jammies! I love that it will fit from 3 months until 2 yrs and is 4 season. I'm entering on eco-babyz.com and would also love the Woolino Footed Romper Pants, 100% Superfine Merino Wool, Cream. I learned that the wool is naturally stain-resistant. I'd love some of those long-sleeve pajamas too! I love the toddler pajamas too. I love the Woolino Long-sleeve Bodysuit Onesie. I learned that wool is naturally flame retardent. I learned that merino wool is naturally fire retardant. I think that is amazing! Entering on eco-babyz, I learned the the sleep bag actually regulates the body temperature and they don't get to hot or to cold. Wool is naturally antibacterial and fire retardant. It also regulates body heat. I would love he newborn set for my first baby on the way! We have a lot of heat regulation problems in our apartment so I think the merino wool would be PERFECT! Fire retardant qualities are a huge bonus too. I love the Woolino Long-sleeve Pajamas, 100% Superfine Merino Wool. These look like they would be super comfortable for my little guys and I like that they are naturally antibacterial and fire retardant. I learned that Merino keeps baby cool summer time and warm winter time. I had no idea that wool would keep babies cool in the summertime! Wool can babies cool in summer. That's nice to know. These have got to be the best sleep sacks! My little bean totally needs one! I'd love to win this for him! Thanks for the chance! I'm entering on Eco Babyz website and I love the long sleeve pajamas!! I love the long-sleeve wool onesie. I love the footed wool pants. Great for night time with cloth diapers! Newborn swaddle blanket and hat. Wool is my favorite! Hoping for the sleep sack!